The day started with hauling our gear out to the truck. Then it was off to the cafeteria for the 8-item delight. By 7:45 Elaine and I were in the road. 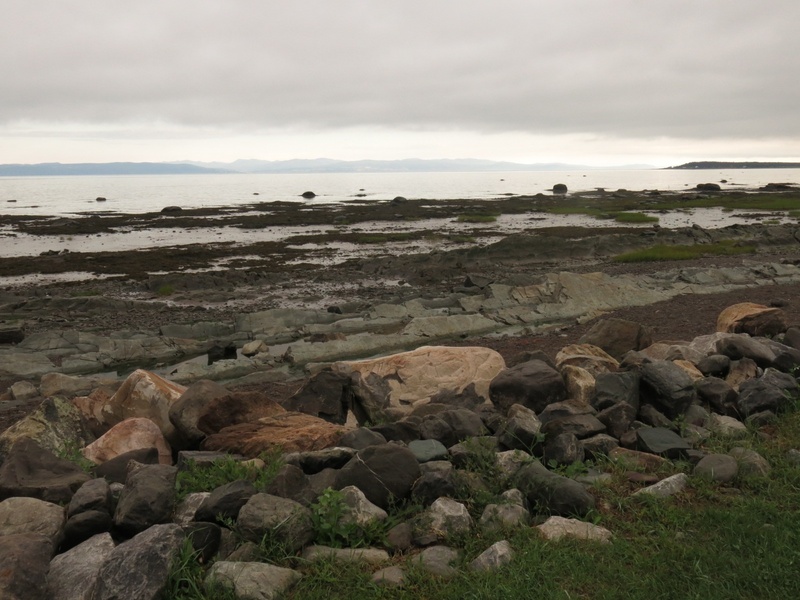 The first part of our ride was on a bike path alongside the St. Lawrence River. A short ferry ride took us to the other side of the river. 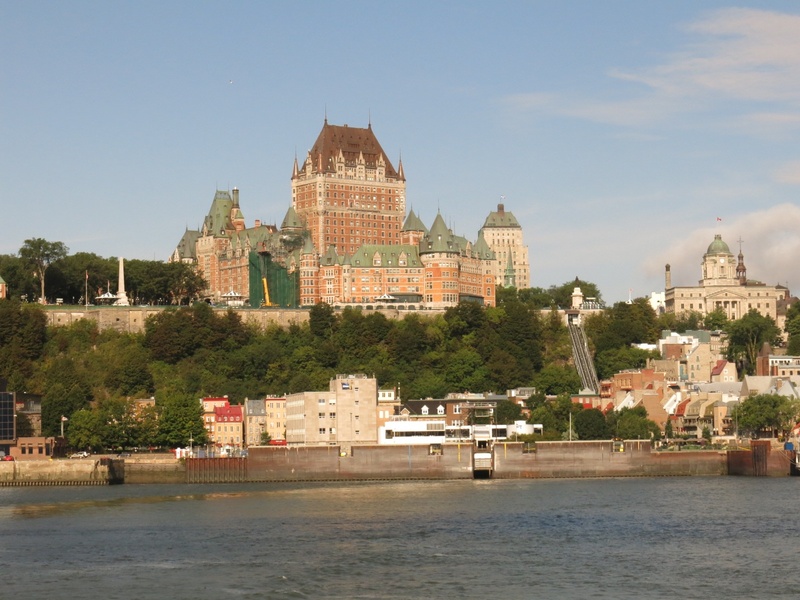 From the ferry we had a great view of Old Quebec and the Chateau Frontenac above it. 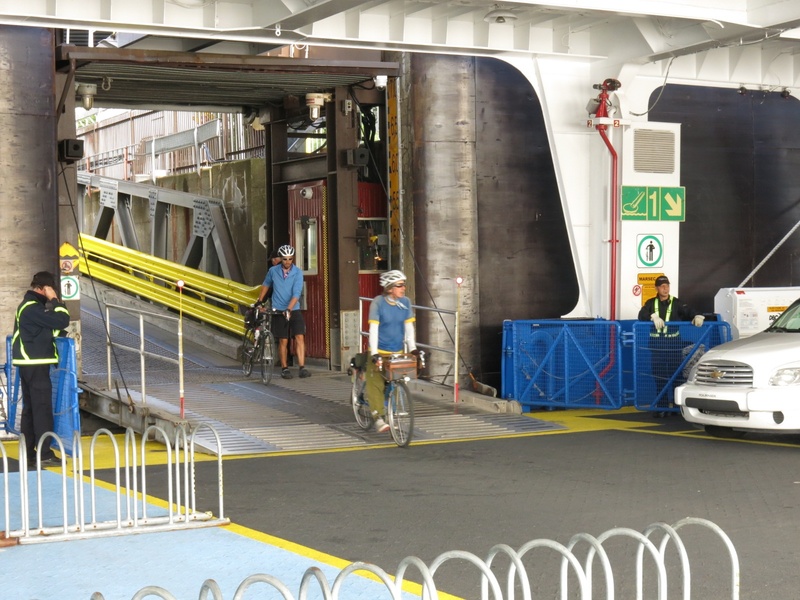 The bike path continued for a ways past the ferry until eventually we got onto highway 132. The highway had nice wide, smooth shoulders and even better, a tailwind. 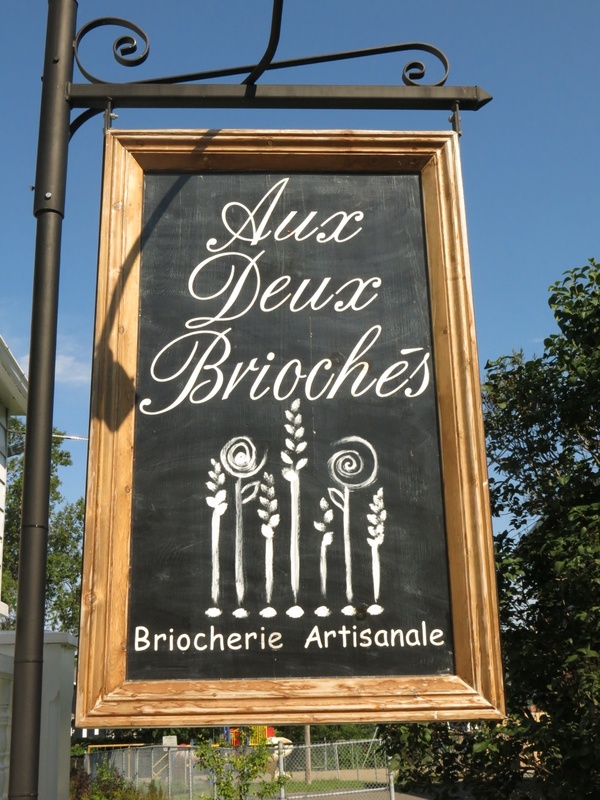 We sped along until the village of St. Michel where we found a wonderful bakery, Aux Deux Briochés. 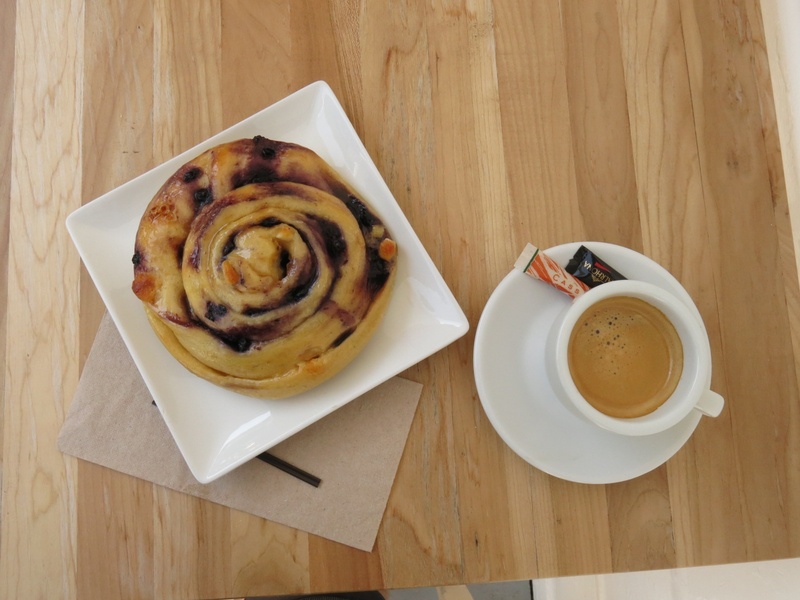 We sat on the veranda and I enjoyed my cinnamon bun with blueberries and a double espresso. Elaine had the same only with tea instead of espresso. Returning to the highway we continued our ride through beautiful farm country alongside the St. Lawrence. 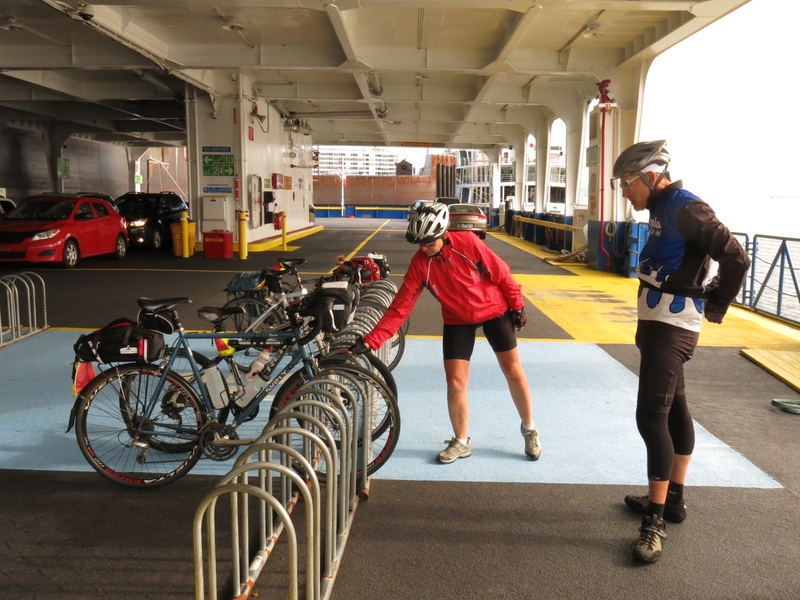 The tailwind persisted to our enjoyment and in no time at all we had reached the 90 km mark. 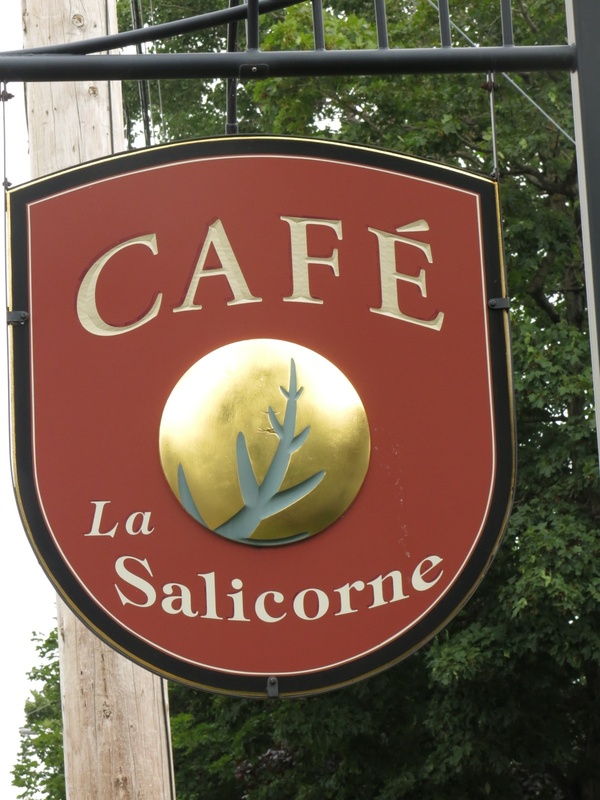 In the town of L’islets Sur Mer we found the Café La Salicorne for lunch. 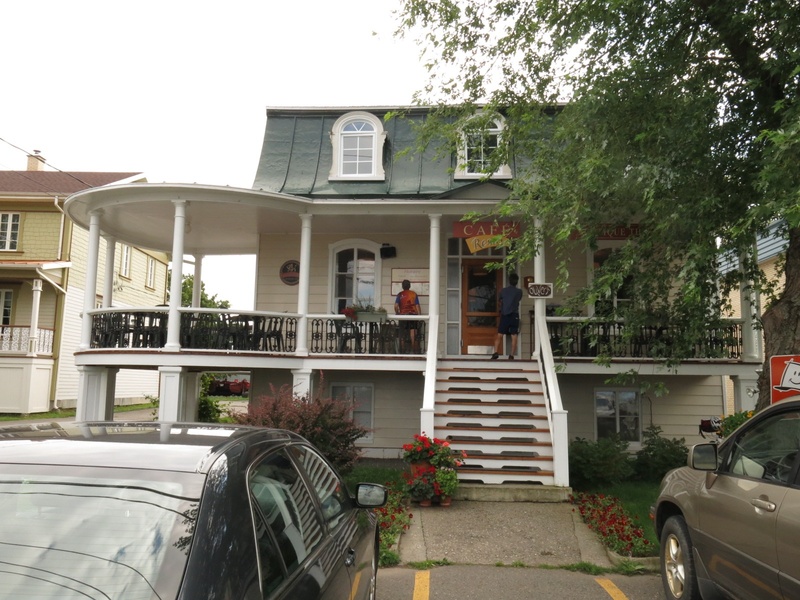 Located in a remodelled old house, the food was fantastic. I even had a glass of red wine to go with my meal. The tailwind was with us for the rest of our ride. 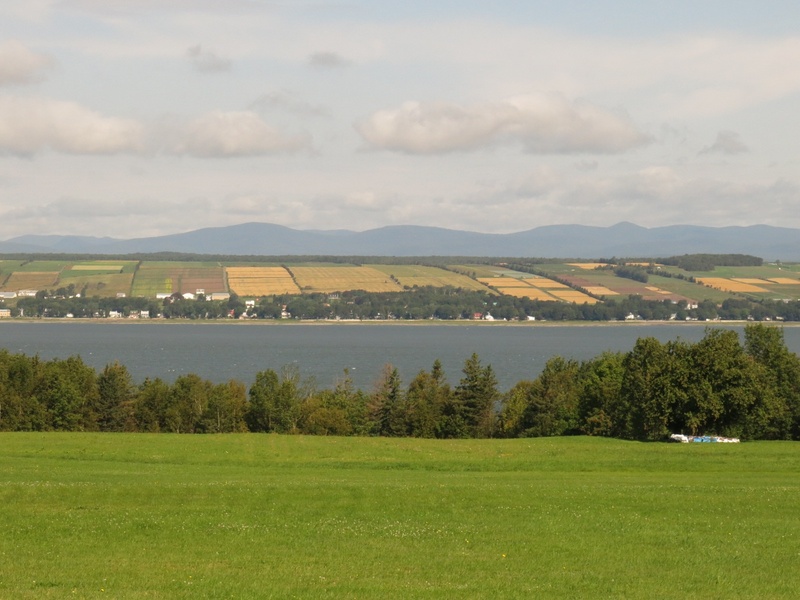 The St. Lawrence was seldom far from our view throughout the afternoon. 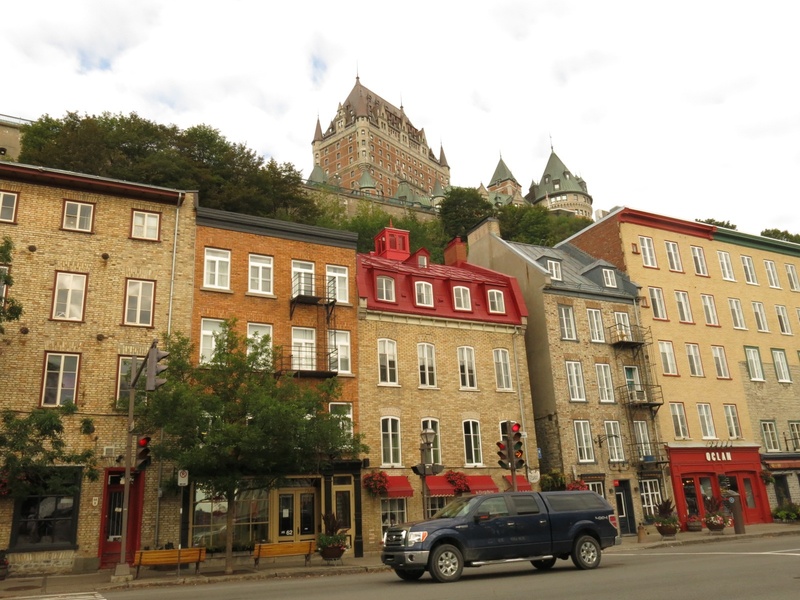 We did encounter road construction at one point where the detour added about 9 km to our trip, on top of an extra 3 km at some construction in Quebec City. I managed to miss the last turn. As I barrelled through the intersection Elaine caught my error and hollered that we were supposed to turn left. So fortunately my error didn’t cost us any distance. 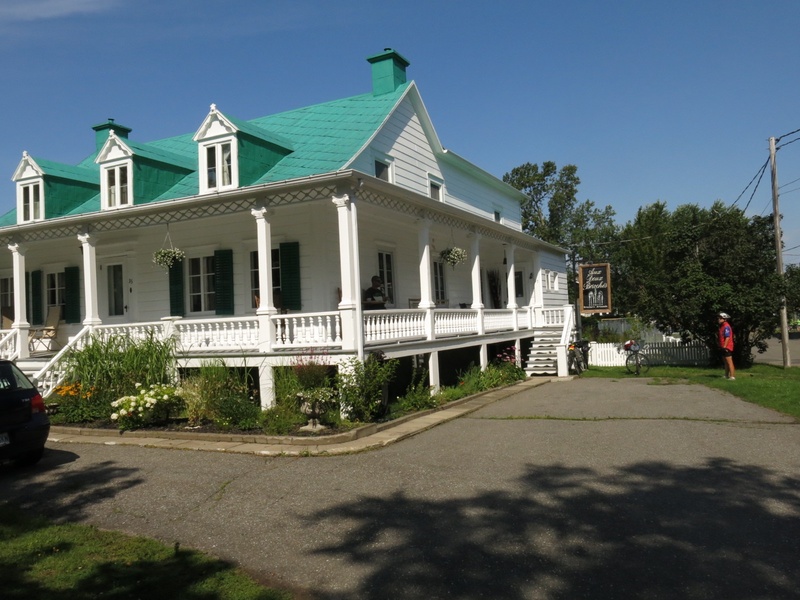 By the time we reached camp near Rivière Ouelle we had logged 152 km for the day.